Associations and clubs that use an online payment gateway to receive payments (for player/ team registrations, merchandise sales, etc) do not need to manually record any transaction or payment details - the SportsTG Registrations system does this automatically. However, if a member or team has registered or purchased something but has not submitted payment through the online payment gateway (e.g. they have instead paid by cash, cheque, bank transfer or EFTPOS) the payment details can be manually added to their member/ team record. This ability is turned on at Association level. If you are a club and you do not have the option, contact your association. The process for adding payment records against members and teams is the same. The below instructions take you through recording a member payment. 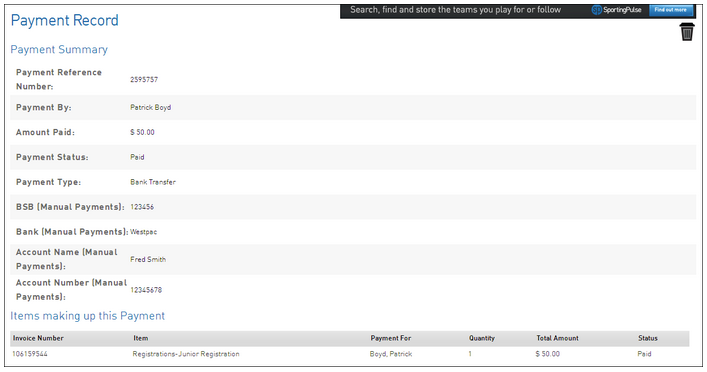 To record a team payment, navigate to a team record and complete the same process as below. 2. Click on the View Record button next to the name of the member to open their record. 3. The member's 'dashboard' will appear. Click on Transactions in the menu. 4. The member's 'Transactions' page will appear. 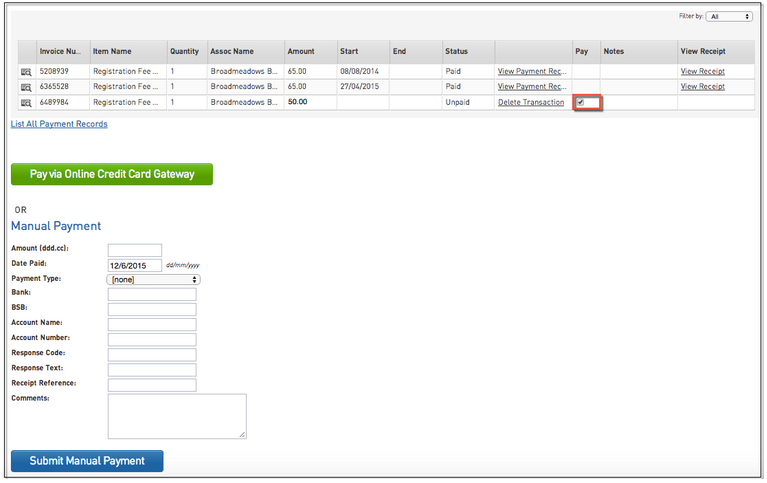 If you wish, you can click on the 'Filter' drop-down list and select Unpaid to only view unpaid transactions. Note: A transaction must exist before payment details can be added. If you need to manually add a transaction, click here for instructions. 5. Locate the unpaid transaction that you want to add a payment record to and check the Pay box. Click on Submit Manual Payment. 7.​ Click on Submit Manual Payment. Note: If your association has online payments activated, you will see an option to 'Pay via Online Credit Card Gateway'. Click here for instructions on processing a credit card payment for a member transaction. 8. A confirmation screen will appear where you can double-check all the details of the payment before saving. If there are any problems and you do not want to proceed with saving the payment record, click on Cancel Payment. 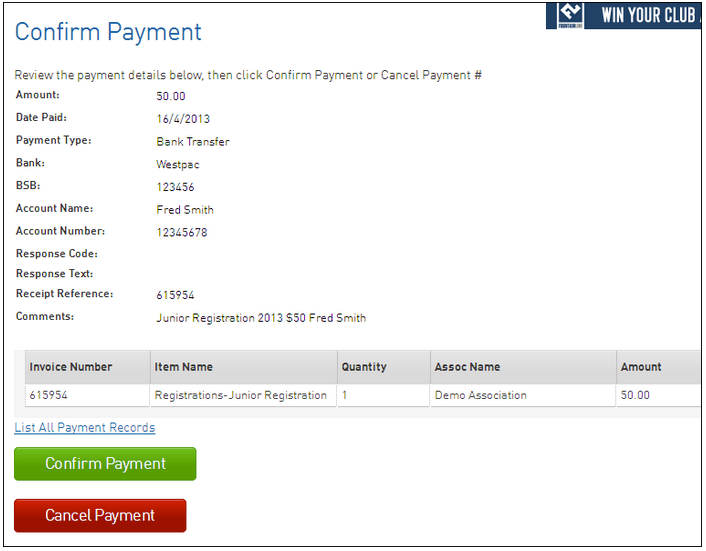 If you need to double-check all existing payment records for the member, click on the List All Payment Records link. 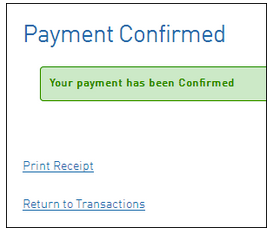 Click the Back button on your Internet browser to return to the 'Confirm Payment' screen. If all the payment details are correct, click on Confirm Payment. ​9. 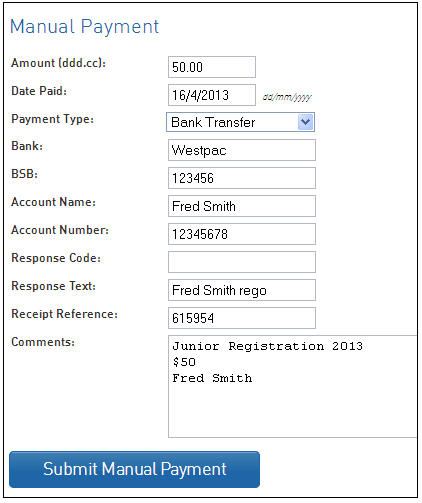 A message will appear confirming that the payment record has been added to the transaction. 10. 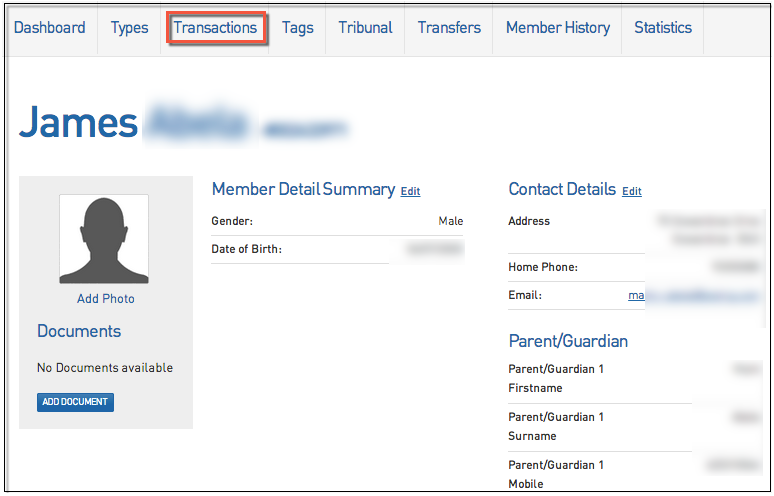 When you return to the Transactions screen for the member, the transaction's payment status will now be 'Paid'. 11. To view details of the payment, click on View Payment Record. 12. The payment record will open, including the items/ products included in the transaction.